The CNIL, Commission Nationale de l’Informatique et des LibertÃ©s, ordered Microsoft to comply with the French Data Protection Act within 3 months, and if fails, the commission will issue a sanction against the company. Moreover, the CNIL notified Microsoft that the company must also take “satisfactory measures to ensure the security and confidentiality” of its users’ personal data.The notice comes after a series of investigations between April and June 2016 by French authorities, revealing that Microsoft was still transferring data to the United States under the “Safe Harbor” agreement that a European Court court invalidated in October last year. Microsoft is collecting data on “Windows app and Windows Store usage data,” along with monitoring apps its user’s download and time spent on each app, which according to the CNIL, is irrelevant and “excessive” data collection. And as I mentioned above, Microsoft is transferring its users’ personal data to the United States under the “Safe Harbor” agreement. 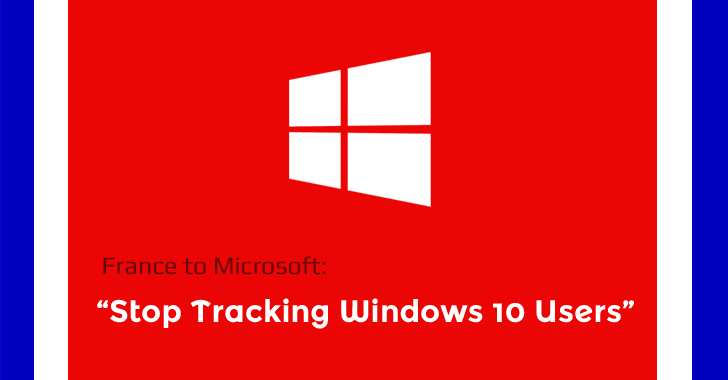 Windows 10 Privacy concerns seem to be a never ending topic. Over the last year, Microsoft has annoyed users with a number of weird practices around Windows 10, including aggressive upgradesand transferring too much information about users back to Redmond.